Jennifer Llewellyn is the Yogis and Keddy Chair in Human Rights Law and Professor of Law at the Schulich School of Law. Professor Llewellyn has been a visiting professor at Australian National University, Victoria University at Wellington and is the Distinguished Visiting Professor at Canberra University (2018). 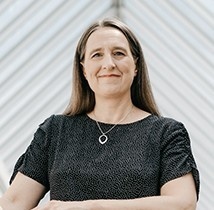 Her research and teaching is focused in the areas of relational theory, restorative justice, truth commissions, international and domestic human rights law, public law and Canadian constitutional law. She has written and published extensively on the theory and practice of a restorative approach in both transitional contexts and established democracies. Professor Llewellyn was the Director of the Nova Scotia Restorative Justice Community University Research Alliance (NSRJ-CURA), a collaborative research partnership between university and community partners focused on the institutionalization of restorative justice, with particular attention to the example of the Nova Scotia Restorative Justice Program. She is currently the Director of the Restorative International Learning Community an international alliance of leading researchers, policymakers and practitioners supporting the development and implementation of a restorative approach to governance and human services in jurisdictions in Canada, the United States, England, New Zealand and Australia. Professor Llewellyn is current leading a SSHRC funded research project developing a restorative approach to human rights. She is also a co-investigator for the DOHR project (Digital Oral Histories for Reconciliation) to a SSHRC funded community-based partnership among former residents of the Nova Scotia Home for Colored Children, the Nova Scotia Home for Colored Children Restorative Inquiry, Victims of Institutional Child Exploitation Society (VOICES), educators, historians, legal experts, and gaming specialists to create and assess the potential for virtual reality oral histories for students to address the historical harms of racism (www.dohr.ca). Professor Llewellyn advises and supports a number of projects and programs using a restorative approach in Nova Scotia and internationally. For example, she has been an academic/policy advisor to the Nova Scotia Restorative Justice Program, the Provincial Restorative Approaches in Schools Project, the HASA Network developing a restorative approach to senior safety and the Nova Scotia Human Rights Commission. She has supported innovation in design and application of a restorative approach including the development of a restorative approach to address campus climate and culture, respond to a death in custody and facilitating the design of the first restorative public inquiry into the Home for Colored Children. She currently serves as a Commissioner of the Restorative Inquiry for the Nova Scotia Home for Colored Children. She previously advised the Assembly of First Nations and Canadian Truth and Reconciliation Commission on the response to Residential School abuse. Areas of supervision: Public Law, Constitutional Law, Restorative Justice, Human Rights, Legal Theory, Relational Theory. Professor Llewellyn's research interests include: Restorative Justice, Legal Theory, Feminist Legal Theory, Relational Theory, Constitutional Law, Public International Law, International Human Rights Law, International Criminal Law, Truth Commissions and Transitional Justice, Indian Residential Schools. Jennifer J. Llewellyn & B. Morrison, eds., Exploring Possibilities: A Restorative Approach to Institutional Climate and Culture in Families, Education, Workplaces and Professions Special Issue: The International Journal of Restorative Justice (forthcoming 2018). J.J. Llewellyn, “Responding Restoratively to Student Misconduct and Professional Regulation – The Case of Dalhousie Dentistry” in press G. Burford, J. Braithwaite & V. Braithwaite eds., Restorative and Responsive Human Services (Oxford: Routledge, 2018). Jennifer J. Llewellyn, M. DeGagné & G. Lowry, eds., Reconciliation & Canada’s Indian Residential Schools in Context: Legal Perspectives, Government Documents & Related Texts (Ottawa: Aboriginal Healing Foundation, 2015). Ami Harbin & Jennifer J. Llewellyn, “Restorative Justice in Transitions: The Problem of ‘The Community’ and Collective Responsibility” in Kerry Clamp ed., Restorative Justice in Transitional Settings (Oxford: Routledge, 2015), 133-151. Jennifer Llewellyn & K. Llewellyn, “A Restorative Approach to Learning: Relational Theory as Feminist Pedagogy in Universities” in T. Penny Light, J. Nicholas & R. Bondy, eds, Feminist Pedagogy in Higher Education: Critical Theory and Practice (Wilfrid Laurier University Press, 2015). Jennifer Llewellyn & D. Philpott, eds, Restorative Justice, Reconciliation and Peacebuilding (Oxford University Press, 2014). Jennifer Llewellyn et al, “Imagining Success for a Restorative Approach to Justice” (2013) 36:2 Dal LJ. Jennifer Llewellyn, “Integrating Peace, Justice and Development in a Relational Approach to Peacebuilding” (2012) 6:3 Ethics and Social Welfare 290. Jennifer Llewellyn & J. Downie, eds, Being Relational: Reflections on Relational Theory & Health Law (Vancouver: UBC Press, 2011). Jennifer Llewellyn, “Doing Justice: New Directions in Restorative Justice” in R. Murphy, ed, Doing Justice: Dispute Resolution in the Courts and Beyond (Ottawa: Canadian Institute for the Administration of Justice, 2007). Jennifer Llewellyn, “A Healthy Conception of Rights? : Thinking Relationally About Rights in a Health Care Context” in J. Downie & E. Gibson, eds, Health Law at the Supreme Court of Canada (Toronto: Irwin Law, 2007). Jennifer Llewellyn, “Truth and Reconciliation Commissions: Restorative Justice in Response to Abuse and Violence” in G. Johnstone & D. Van Ness, eds, Handbook of Restorative Justice (Devon: Willan Publishing, 2007). Jennifer Llewellyn, “Restorative Justice in Transitions and Beyond: The Justice Potential of Truth Telling Mechanisms for Post-Peace Accord Societies” in T. Borer, ed, Telling The Truths: Truth Telling and Peace Building in Post-Conflict Societies (Notre Dame Press, 2006) 83. B. Archibald & Jennifer Llewellyn, “The Challenges of Institutionalizing Comprehensive Restorative Justice: Theory and Practice in Nova Scotia” (2006) 29 Dal LJ 297. Jennifer Llewellyn, “A Primer on Human Rights Law” in J. Downie, K. McEwen & W. MacInnis, eds, Dental Law in Canada (Markham: Butterworths, 2004) 91. Jennifer Llewellyn, “Restorative Justice in Borde and Hamilton – A Systemic Problem?” (2003) 8 Criminal Reports 308. Jennifer Llewellyn, “Dealing with the Legacy of Native Residential School Abuse: Litigation, ADR, and Restorative Justice” (2002) 52 UTLJ 253. Jennifer Llewellyn & R. Howse, “Institutions for Restorative Justice: The South African Truth and Reconciliation Commission” (1999) 49 UTLJ 355. Jennifer Llewellyn & R. Howse, Restorative Justice – A Conceptual Framework (Ottawa: Law Commission of Canada, 1998) 1. 2014-2015: Process Lead/Co-facilitator Restorative Justice Process, Faculty of Dentistry.